Some of my film photography friends on Twitter have posted some of their favorite messed up shots on Fridays and I thought I’d join in the fun. I’m going to use this post as a jumping off point to post more Holga shots in the near future. 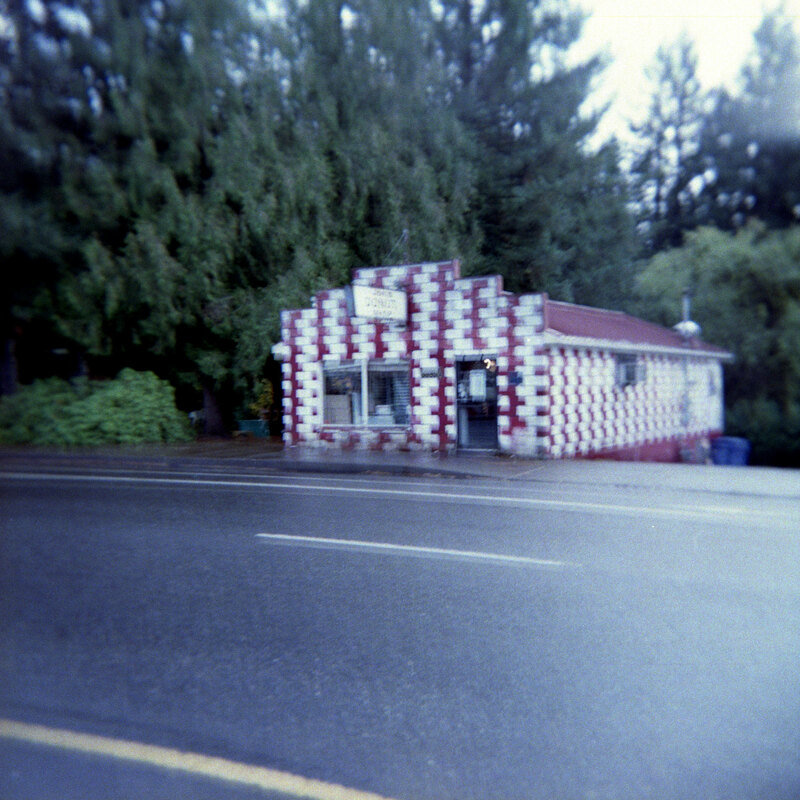 For some reason my Holga often ends up in bulb mode and then half the roll ends up all blurry. Which is what happened with these two shots at the end a roll. They were both taken around my small town. I used a Holga 120GFN and mystery film.